Right now, in my Money-Making Magic group, we are having some very honest discussions with people making brave decisions about when the time is right to admit you can’t pay your debts and what happens when you relinquish your credit rating as you go into a debt management plan. And yesterday I posted this following message, in the spirit of optimism even thought it doesn’t necessarily read like that. One of our members suggested I might share it here on my blog for a wider audience. “Very rarely, over the years, but especially in the last say five or six years, I’ve come across someone who I thought I really, really couldn’t help. I really couldn’t do anything for them because they had no time, no money and nothing to leverage. And their mindset seemed hopeless, no energy etc. Truly, these folk are very rare. Hard up, with seemingly impossibly goals, sometimes even with health issues. And sometimes all of these things in the one person. And frequently a ‘Yeah But’ attitude into the bargain, because they’d tried everything and it was all hopeless. Nothing worked. And initially it used to worry me, that I could think of nothing that would help, though I would often try to look at it from all angles and provide free calls over and over, trying to find a chink. What WOULD become of them?? Once – after a phone-in where one such person turned up and offered her “hopeless” set of circumstances to me yet again, I remember saying out loud after the call – No, honestly, I’ve done everything. I’ve looked at this person’s circumstances up close, more than once, and there really is nothing I can do to help her. But as the years went on and that person didn’t die, or get carted off to a debtors prison and didn’t lose her home despite not working, I realised that most of what we fear never comes to pass. For all I know that person is still hopeless, but they’re still alive, they still go on, they still turn up, they still try (ish), they have their health and a loving family, food, a roof over their head and nothing truly ghastly has happened to them. They have found a way to carry on, for what choice do we have? So, today, if you are struggling with anything, try to take yourself as lightly as you can, pick a daisy perhaps and know that in this moment you are OK, and despite the changes which may be looming, you are very likely to remain that way in any given moment. 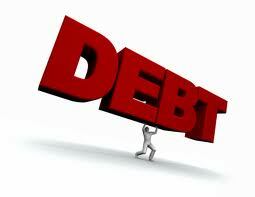 If you have debt problems you want to discuss, please use the Contact form and I will put you in touch with my two debt experts who do not charge for their initial free advice. They’ve both been there themselves and are warm, supportive and knowledgeable about your best debt management options. If you have been in debt and found a solution and come through it and are OK now, do please share your story in the Comments, to help others.